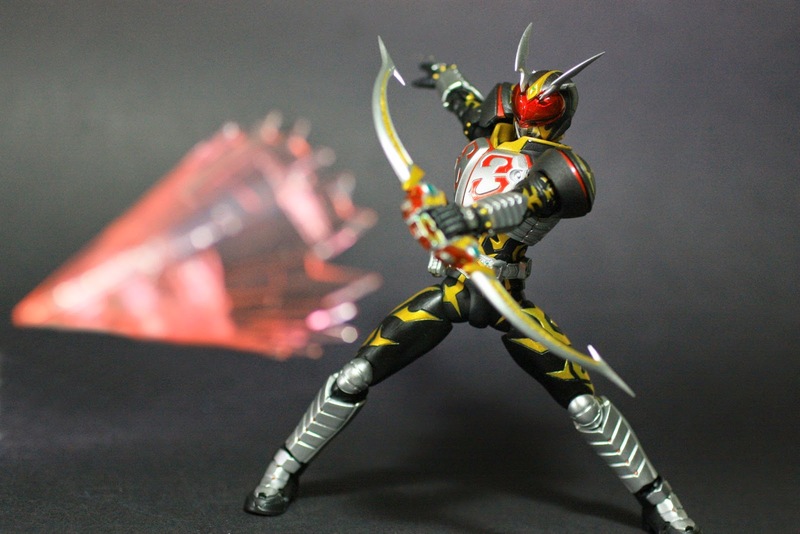 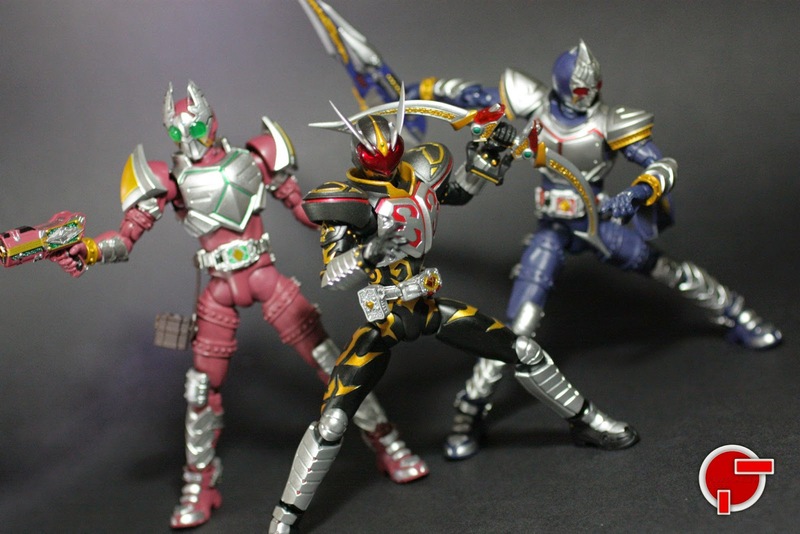 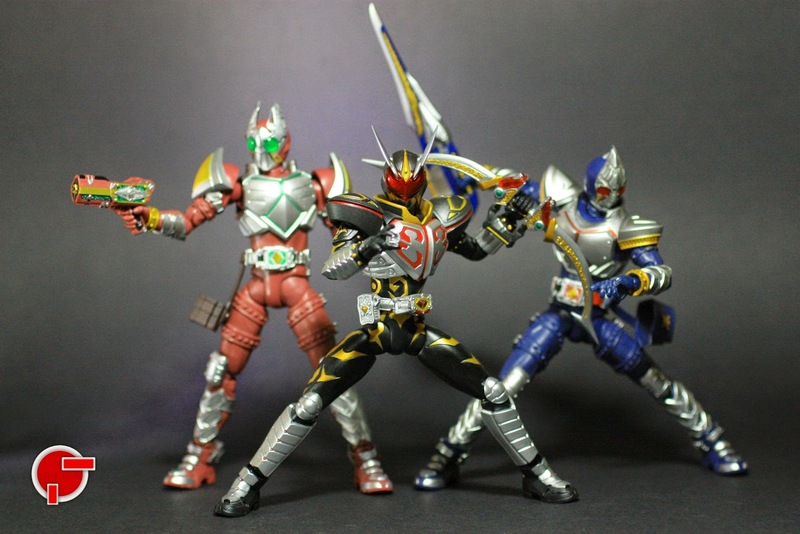 Bandai has taken Hajime Aikawa’s rider form into the Tamashii Nations line with the S.H. 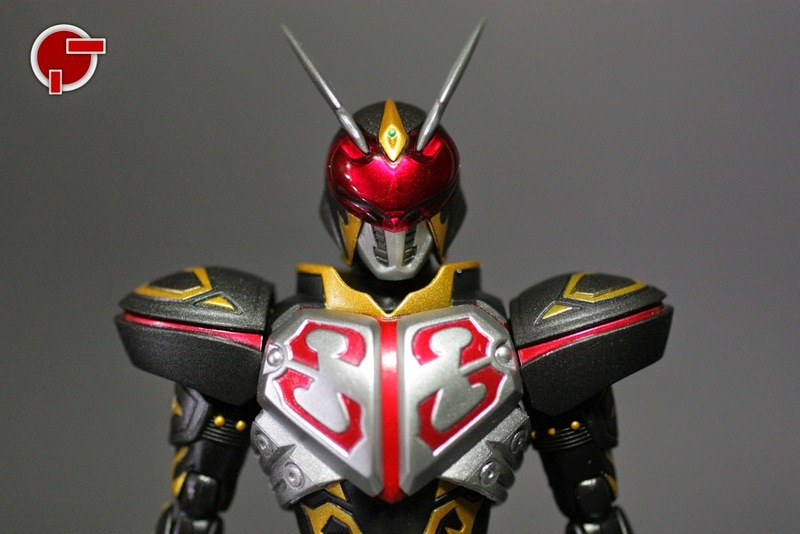 Figuarts Kamen Rider Chalice. 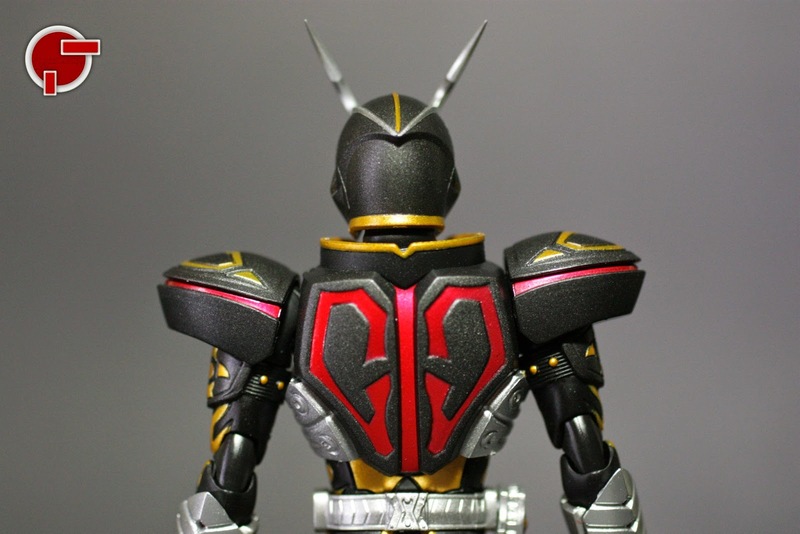 This Undead Rider is enveloped with heart-shaped accents followed by sharp and crisp acrylic paint applications. 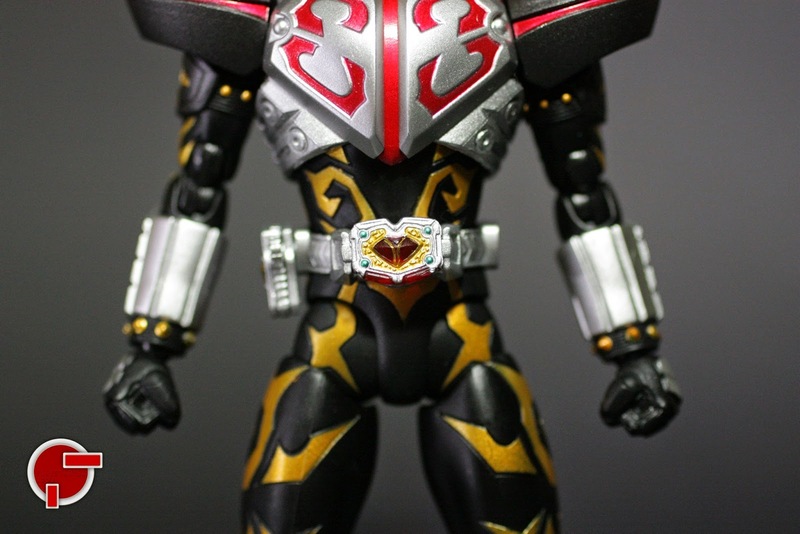 Other parts include the detachable Chalice Rouzer and the cardholder on the side of the belt. 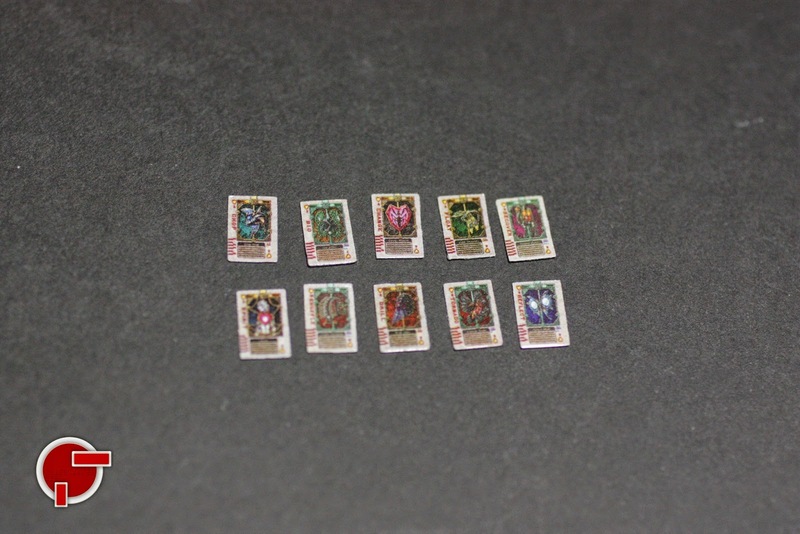 Although the cardholder fans out, you cannot put any of the cards in. 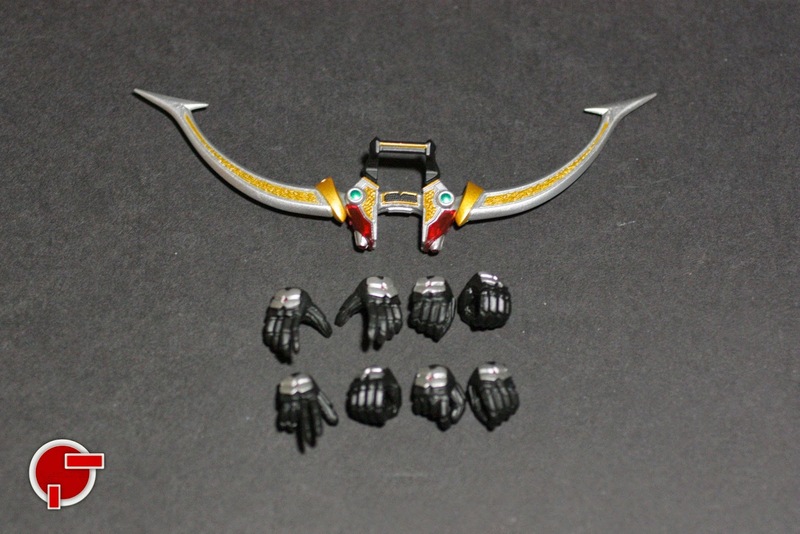 The set includes the Chalice Arrow, 8 hand replacements and 10 Rouze Cards. 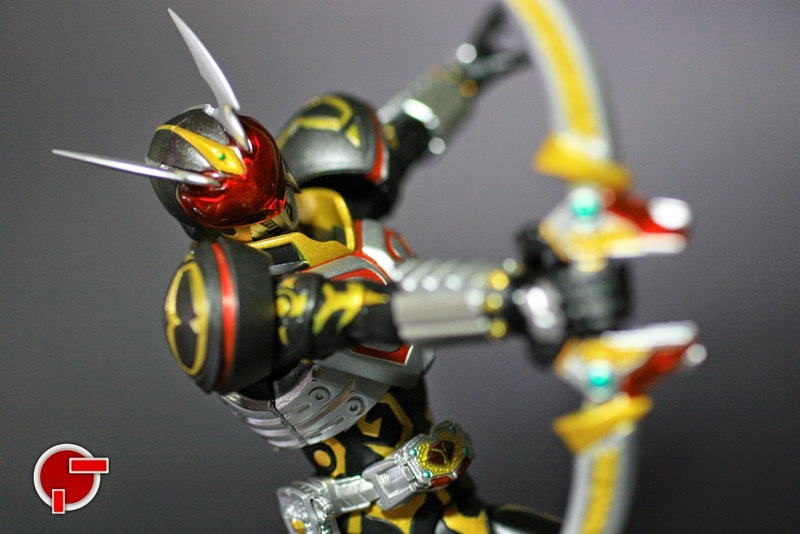 His bow retracts and so as the handle and the Chalice Rouzer slides on the opening as if he is about to shoot. 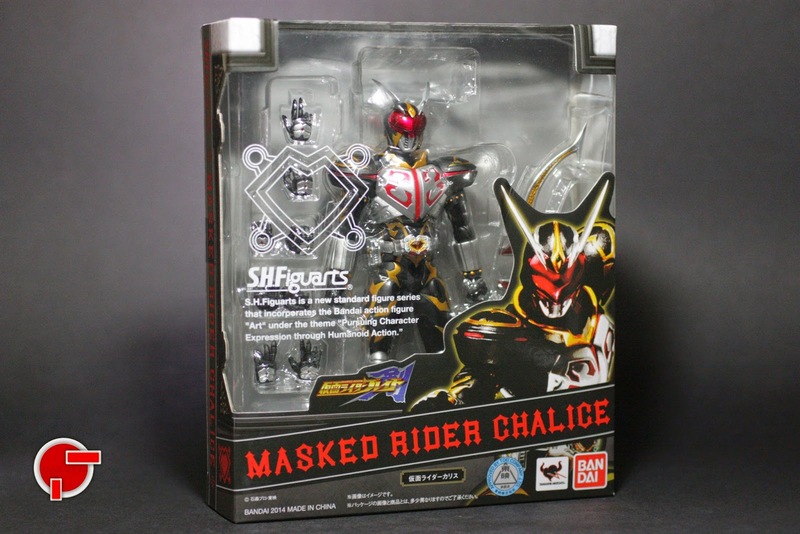 Unfortunately, the cards cannot be put in any of the weapons and other of Chalice’s accessories. 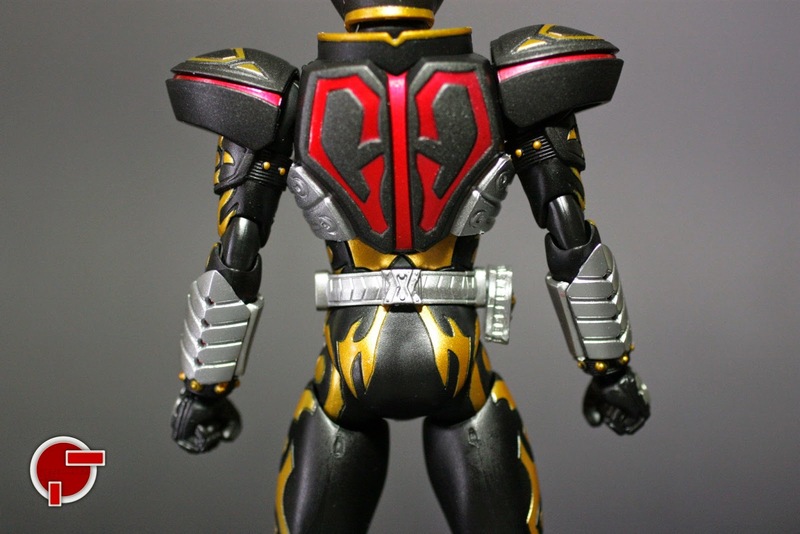 But those are the only flaws of the figure. 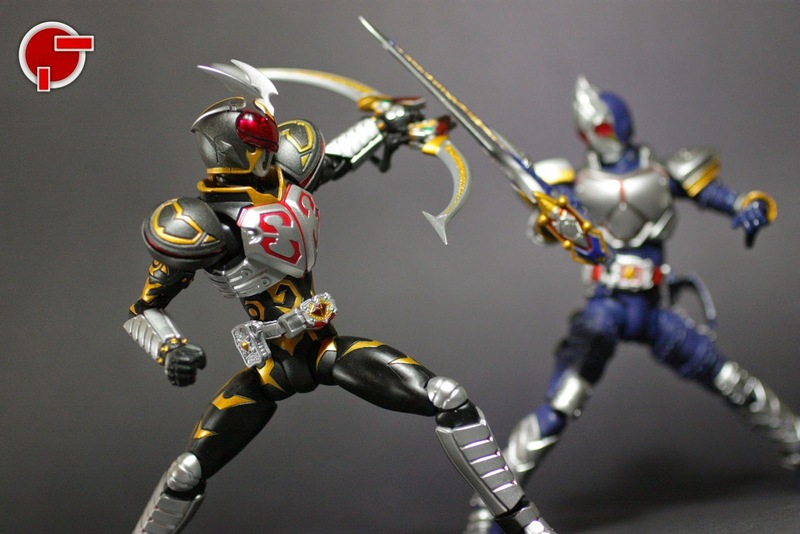 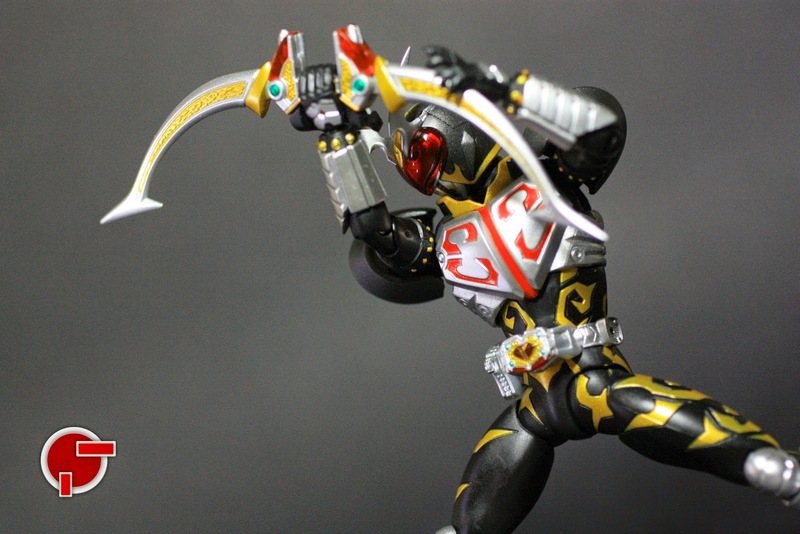 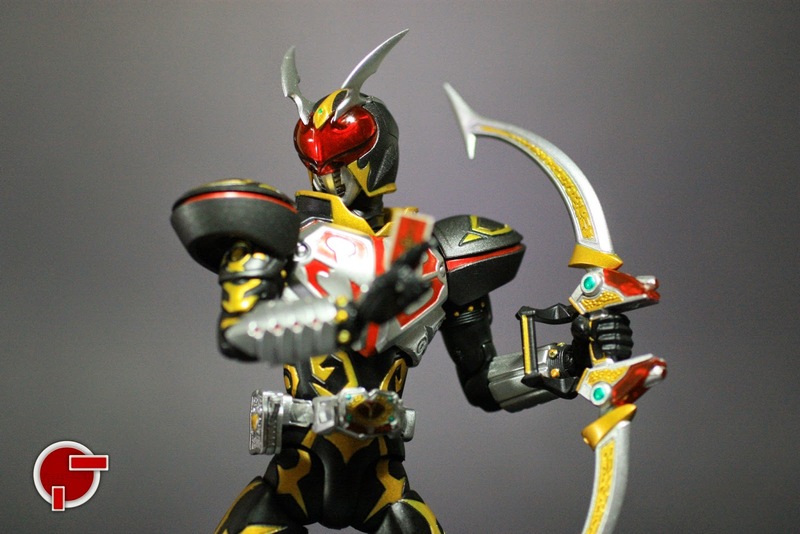 Joint system is the same with Kamen Rider Blade’s and in this scale, almost an accurate figure form of the rider. 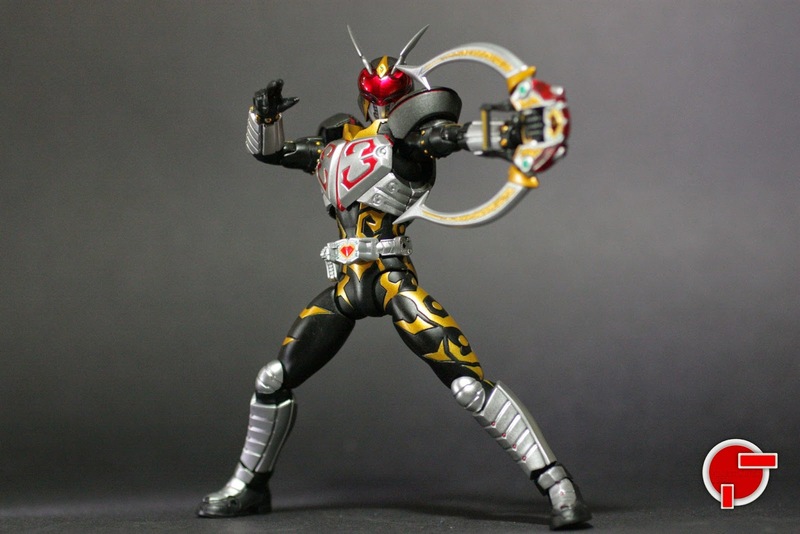 I have to other issues with the figure but it would be more awesome if the set is inclusive of effect for his Spinning Wave. 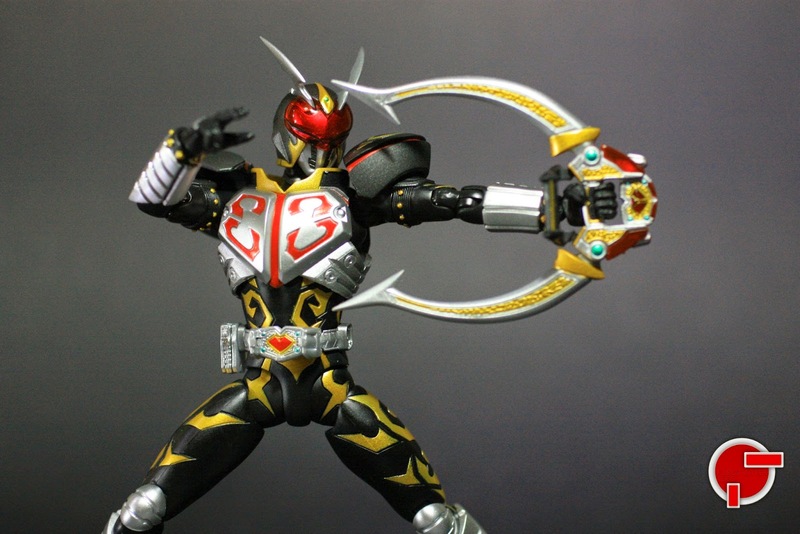 Believe me, this will be one of your favorite S.H. 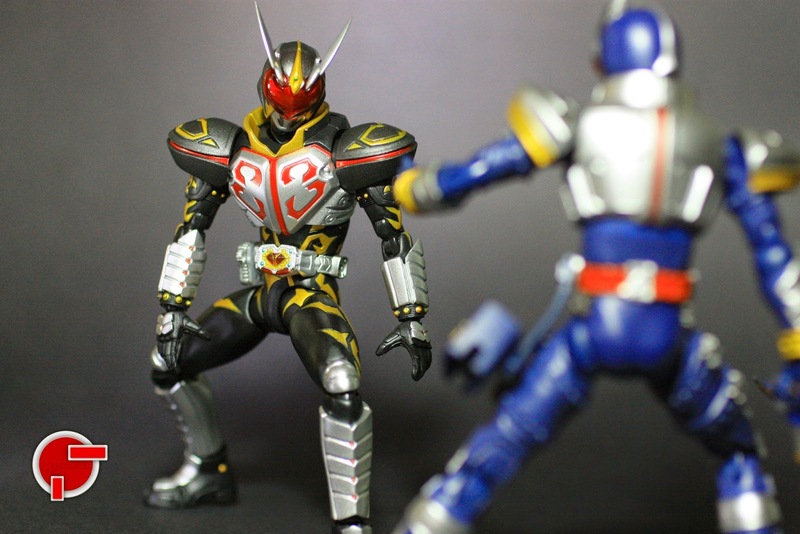 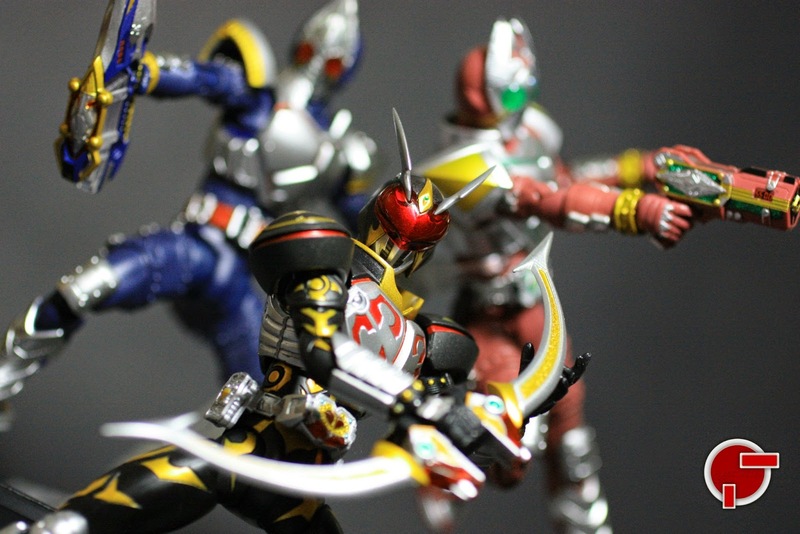 Figuarts Kamen Rider to date.